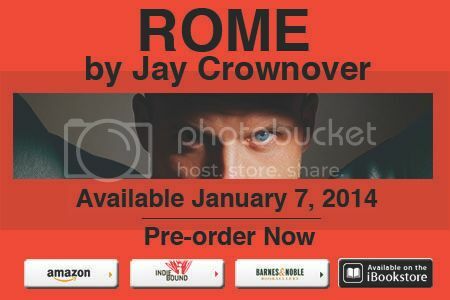 Are you excited for Jay Crownover's third book in the Marked Men series, Rome? Have you even read Rule or Jet or for that matter know who the great Jay Crownover is? If you answered yes to the above questions then high five dude! Okay minions so you've gathered this is a cover reveal for Rome, but this cover reveal is not just ANY cover reveal. It's a jigsaw puzzle! How totally freaking cool right?! What a way to keep us fans on edge, and er hello talk about teasing! So below you'll find part #1 of the reveal, and pre-order links! Take a look, you know you're really dying to. It's looking good right junkies? I'm so impatient for his book it's unreal *sigh*, soon my precious, soon. Stay tuned minions for more pieces of Rome *swoon*.